Back in 2007, when The Simpsons Movie came out, there was a lot of products from the animated show that became real products. 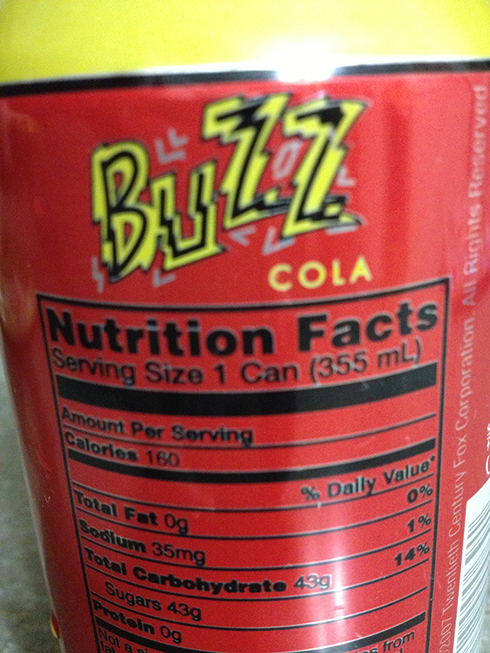 Like Buzz Cola. The cola in the cans was pretty much RC Cola [or some slight variant] and I ended up getting a couple of six-packs of it. Fast forward to this week when I found that my last two cans I had held onto finally did the leak and burst. 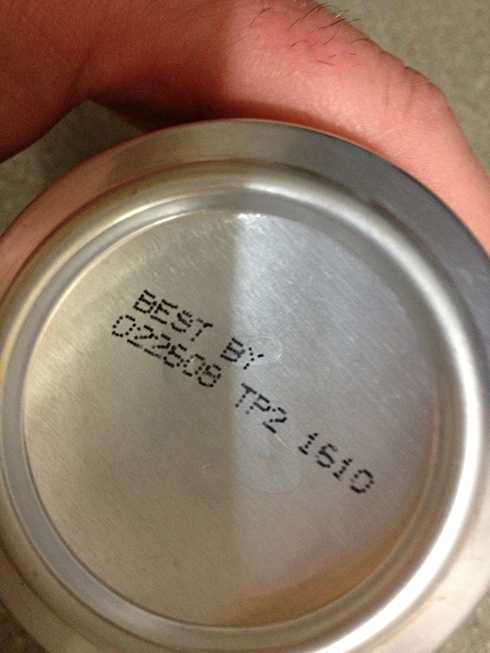 Turns out soda doesn’t keep that long in aluminum cans, eventually expiring in many ways. These last two cans were kept to save them, but once they burst, I had to finally believe the real expiration date. I did pour a bit of the remaining cola in a glass and took a sip. Pretty horrible since it had lost it’s fizz. 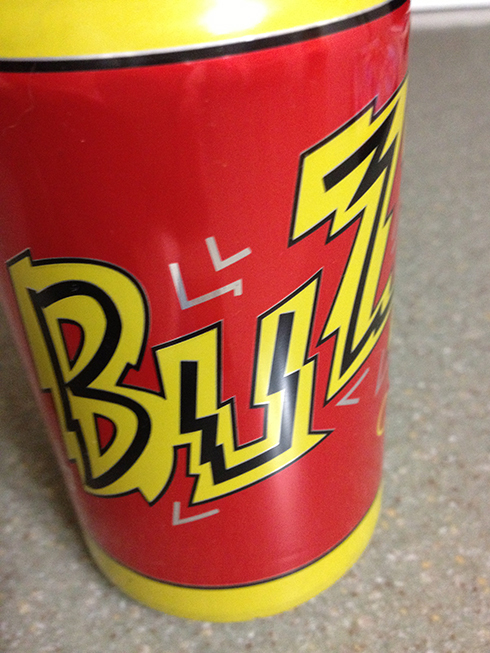 I wish they would have made some Buzz Cola in bottles for memorabilia purposes. 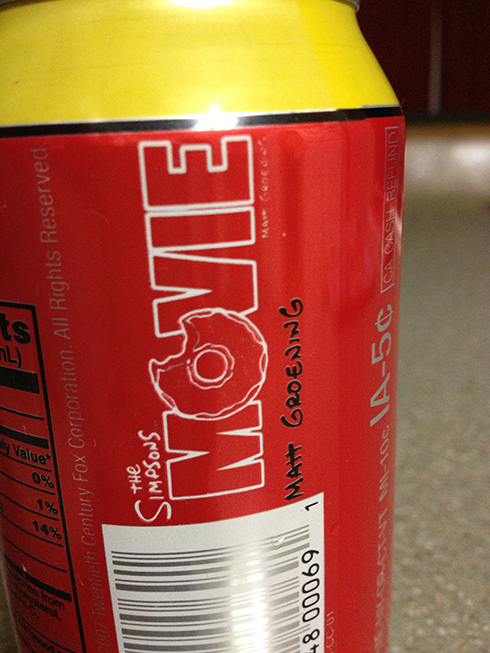 I bought some of this and the Krusty Os when they were out for the movie. Don’t remember how any of it tasted though. 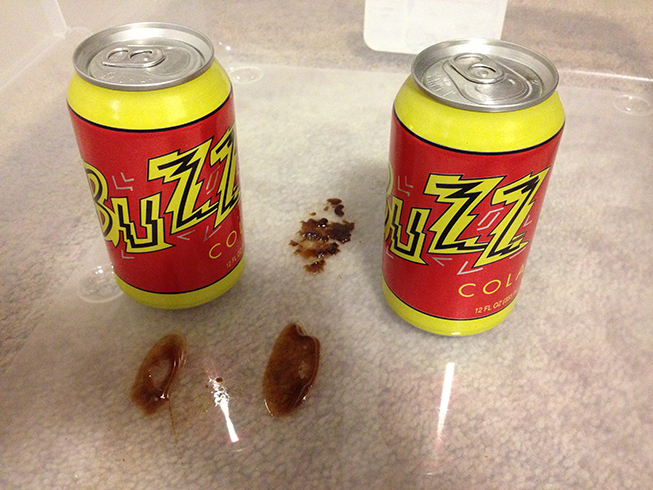 I had a Buzz cola (I bought two 6 packs of this stuff). It wasn’t the best, even when it hadn’t expired. I still don’t know what a Krusty O tastes like. I have the full unopened box at home still.